The award-winning film KULEANA is in its fourth week showing on Regal Cinema’s island screens, including Keauhou Stadium 10 in Kona, Pearl Highlands on O‘ahu and Maui Mall Megaplex in Kahului. Despite being the first Hawai‘i feature in almost a decade to make it to the big screen statewide, KULEANA has proven itself a mainstream competitor to other Hollywood blockbuster films currently in theaters. “We opened head to head agains Steven Spielberg’s goliath READY PLAYER ONE in 10 theaters, when Marvel’s BLACK PANTHER was setting global box office records and Peter Jackson’s PACIFIC RIM sequel was in fifth gear,” shared KULEANA writer/director Brian Kohne. “Then came more competition in a breakout comedy, BLOCKERS, and a surprise horror hit, A QUIET PLACE, which gave KULEANA a good rub. Hawai‘i’s The Rock [Dwayne Johnson] and his lovable CGI ape came along last Friday in RAMPAGE to tag-team us—and that seems to be the prime factor that’s diminished our screen count heading into this weekend. 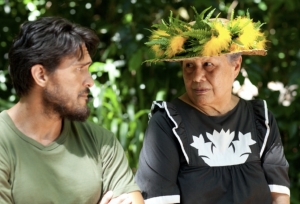 Produced entirely in Hawai‘i, KULEANA received a number of film festival awards all over the world in 2017, and screenings on the mainland are underway. Audiences in Sacramento and Las Vegas and a number of other cities have experienced the movie in their local theaters in recent weeks. Cast and crew are now setting their sites on Saturday, May 5, when KULEANA will be featured as a special presentation in the Los Angeles Asian Pacific Film Festival for its LA premiere. 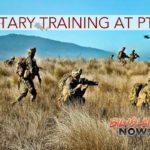 The screening will take place downtown in the Tateuchi Democracy Forum at the Japanese American National Museum, with cultural entertainment and a reception to follow. And if that were not enough, the Los Angles Mayor’s Office will present KULEANA with a resolution honoring the production for its authentic casting of Asians and Polynesians in featured roles. Kohne and Actor/Executive Producer Branscombe Richmond will represent the picture. The provocative new mystery/drama was produced by Stefan Schaefer, and stars Moronai Kanekoa, Sonya Balmores (Marvel’s INHUMANS), Kristina Anapau (TRUE BLOOD), Augie T, Marlene Sai, Branscombe Richmond (CHICAGO MED) and Mel Cabang. Willie K and Johnny Wilson provide an original score; the soundtrack boasts hit songs by Joni Mitchell, Procol Harum, and Tony Orlando and Dawn, with Hawaiian classics of the era by Genoa Keawe, Lena Machado, Sunday Manoa, Sons of Hawaii, Marlene Sai and more. Boasting high production values in picture, performances and music, KULEANA earned the faith of mainland theater giants Reading International (Consolidated) and Regal Entertainment Group, which in March opened the movie in 10 theaters in Hawai‘i and Guam. Visit the Facebook Events feed for a full listing of upcoming mainland screenings. Who’d Win Best Picture if Hawai‘i Moviegoers Were in Charge of Oscars?